Robotics are starting to transform the industries. In an interview, Xavier Lhuer, a principal associate in McKinsey’s London, speaks with Leslie Willcocks, a technology, work and globalization teacher in the London School of Economics, about his works on the RPA issue and its effects on work and how companies can take advantage of RPA strategically and financially. McKinsey : Can you start by defining the RPA (Robotic Process Automation) ? Leslie Willcoks : The RPA removes systematic process tasks to focus your resources on exceptions, where the human is still indispensable. Every worker involved in back-office processes has to perform a lot of repetitive and boring tasks. The RPA is similar to a software that replicates human activity and takes in charge some steps of the process. It can do these actions more quickly and precisely than humans and at any time of the day. Its use allows employees to free time and focus on their missions with real value added. Softwares are very light in the sense they do not require a lot of development to be operational. Operational employees can learn very quickly how to configure and use the robot. It is also light because it only uses the information system. It does not interact with underlying systems such as logical systems. McKinsey : To what extent does RPA differ from cognitive intelligence ? Leslie Willcocks : RPA deals with simpler tasks. It mainly supports actions that do not require any particular knowledge, understanding or perception. These are the actions that can be performed by introducing simple rules the computer will be able to follow. With the cognitive intelligence, you impinge on the knowledge base of a human being and on other attributes unique to mans beyond the mere ability to do things. Cognitive automation can deal with language, reasoning and judgment through contextualization. It can establish the meaning of things and give a special perception. Thus, there is a big difference between both. In addition, whereas RPA is an advanced technology, this is not the case for cognitive automation. I did not see a wave of powerful tools of cognitive automation appear on the market and few companies use it. McKinsey : What are the benefits of using RPA? Leslie Willcocks : The main benefice we found among the 16 surveys we did is a return on investment which varies between 30 and 200 percent the first year. But it would be wrong to focus only on short-term financial gains, especially if they are due to a saving of working time. This approach does not reflect the power of the software as the benefits are numerous. 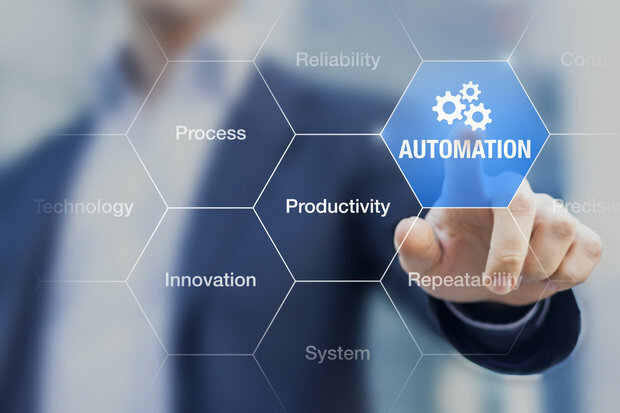 For example, companies evolving in highly regulated industries such as banking or insurance show that automation is a cheaper and quicker way to resolve compliance issues. You also improve your customer service because you have more control over the process. A company that receives a lot of customer demands, for example, can enable its team to focus only on the more complex ones. There are also benefits for employees. In every case we studied, employees thank the technology because they hate the tasks that are henceforth taken in charge by the computer. It relieves them of some work pressure. Every organisation that we studied reports that the robot intervenes on large workloads. I think there will be an exponential creation of work to align with the exponential growth of data (50% more each year). There is also a significant increase of the bureaucracy. We need automation just to relieve the stress accumulated by the companies. An e-commerce website measured the success of the RPA according to the number of hours which could have been reallocated to the business. Thus, it is not just shareholders, senior managers and customers who will benefit, but also employees. McKinsey : What are the most important considerations for those who want to adopt the RPA? Leslie Willcocks : The most important consideration is the strategy. You can use automation intelligently to decrease your costs. 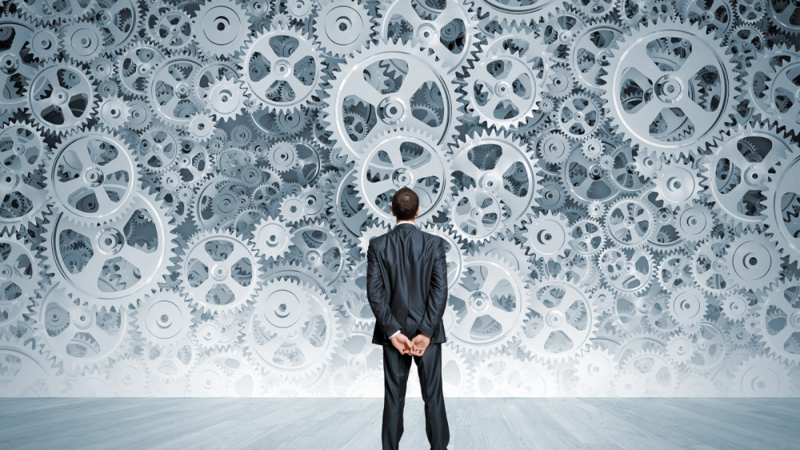 But if you use the RPA as a considerable strategic tool you will benefit much more from it. The second consideration concerns the launch. You need to have all the managers involved and a very competent project manager to implement the right processes. The project must be stable, mature, optimized, normed, repeatable and used with large volumes. Start with a control test on a difficult part of the process. The third consideration is to adapt management by integrating automation. This is the key to the launch. The fourth is to build a company able to use RPA for a long time. By using RPA as much as possible, you will build centers of excellence over time that will be the source of new techniques and processes for your development.These centers are at the origin of employees which will configure robots, install and develop them. They are also the origin of people who will turn those robots on and off, who will planify their actions and their relation with the Human.There is continuous innovation in IT, governance and security services. Organizations committing to RPA must immediately think about building a center of excellence. McKinsey : How does a company choose to implement a RPA solution or an IT solution? And how do these departments interact? Leslie Willcocks : When an organisation considers a test phase for the RPA, it looks at the customer case and compares it to a computer science solution. It is often the advantage of RPA. In an organisation we studied, the ROI due to the RPA was 200% the first year and the solution had been implemented 3 months. The IT solution had the same ROI but with a repayment term of 3 years and a setup which lasted 9 months. In addition, many operational managers find that the implementation of a computer solution is too time-consuming. They prefer something lighter and more adaptable. So, a useful, inexpensive RPA solution that does not require special computer skills to install it is a walk in the park for a business. IT departments are worried because they know the disruptive nature of RPA. Nevertheless, it is necessary to convince them from the beginning of the process. McKinsey : What do you think will be the most visible effect of RPA in the long run? Leslie Willcocks : In the long run, RPA means that people will have a more interesting job. For 130 years, we have created unskilled, repetitive and boring jobs. Not all jobs will disappear, but only the least interesting for the human. It will be disruptive but companies should be able to absorb this change. The relationship between technology and people must change in the future for the best, and I think that RPA is one of the key tools actor of this change.